Most people associate magic with the David Copperfield type of illusions. 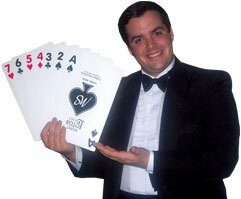 Boston Resident Scott Galbraith is a parlor magician, focusing on slight of hand, card tricks, and audience participation. Proudly Serving Massachusetts and Beyond!